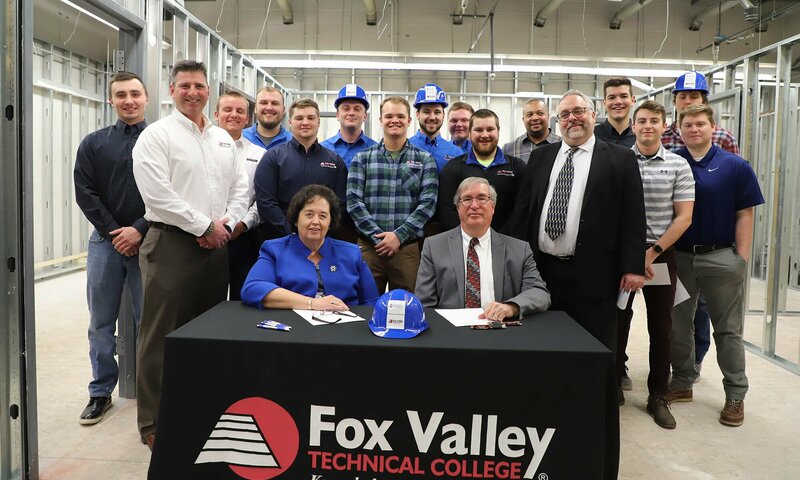 The agre ement was signed by Dr. Susan May, president of FVTC, and Dr. William Cario, provost at CUW, at a ceremony in the FVTC Spanbauer Center in Oshkosh, Wisconsin. 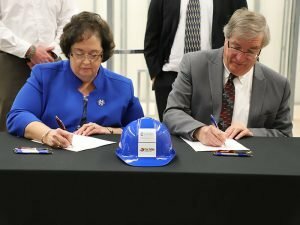 In attendance were leaders of both institutions, as well as current students and employers in the construction industry who have expressed interest in the new program. Cario expressed gratitude to the employers in the room, including leaders from Boldt and Catalyst Construction for supporting employees who are planning to begin classes in the fall. Classes for the BA in Construction and Trades Management will be offered at the CUW Appleton Center, 4351 West College Avenue. This is the only face-to-face option in the Fox Valley Region for construction graduates to earn a Bachelor degree. For more information, contact the CUW Appleton Center at 920.968.0933.